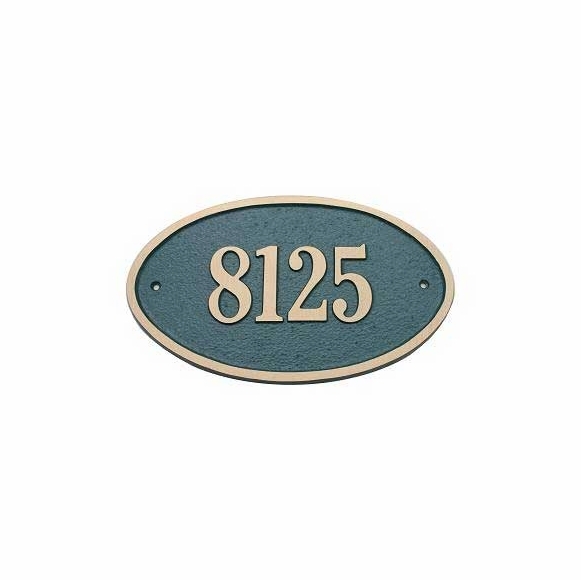 Wall Address Plaque - - oval shape solid brass wall mount address sign. Custom made with the address you specify and color you select. Surface mount on any exterior wall. Made in USA. Dimensions: 12.125"W x 7.375"H; weighs 5 pounds. Large oval wall mount sign personalized with your house number and hand crafted in the USA.